A 3 Days Safari to Queen Elizabeth National Park would include the following tour activities: Chimpanzee Tracking Safari in Kyambura Gorge, a boat Cruise on Kazinga Channel and amazing game drives in the plains of the wider park. Day 1: Drive to Queen Elizabeth National Park, enjoy Cruise on Kazinga Channel. Drive from Kampala to Queen Elizabeth National Park in South Western Uganda. You will stop for lunch in Mbarara town and proceed to the park in the afternoon. After checking in at the lodge, you will go for an evening boat cruise on Kazinga channel. Kazinga Channel is 40 km water channel that joins Lakes George and Edward. Visitors at the park are always impressed by the Channel’s astounding life diversity and magnificent views. At the channels shorelines, buffaloes take relaxation in the waters whereas individual elephants or in groups are also see coming to take water. As one enjoys a boat cruise, he is able to see an assortment of bird species enjoying themselves at the channel shores. Many tourists that have taken a 2 hour Kazinga Channel launch cruise regard it one of the apex or the highest point of their Uganda safari. The channel also has hippopotamuses that wallow it the short waters near the banks. In summary, Kazinga’s boat cruise provide an outstanding podium for bird watching, animal viewing, clear photography plus an enjoyment of the extremely soothing water breeze. After a boat cruise, drive to Enganzi Lodge, Mweya Safari Lodge or Ihamba Safari Lodge for dinner and overnight. In the morning, you will go a chimpanzee tracking in Kyambura Gorge. This gorge in the north part of Queen Elizabeth National Park and know to inhabit lots of chimpanzees plus some other animals and birds as well. 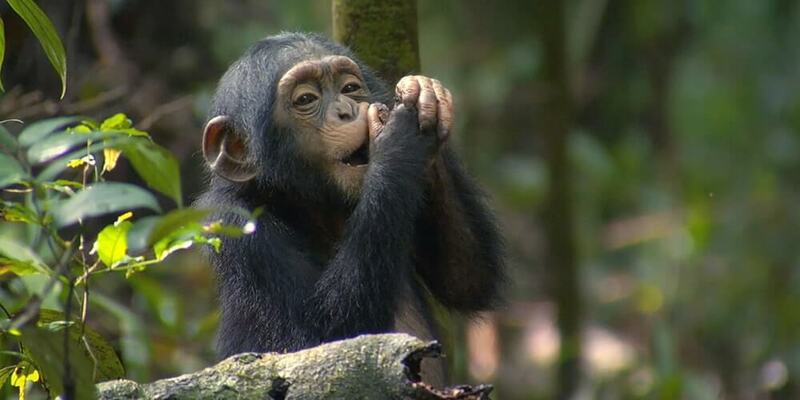 After chimps tracking, you will go back to the lodge for lunch awaiting an even game drive. During the game drive, you will like see elephants, hippos, spotted hyenas, stripped jackals, bush-bucks, warthogs and water bucks among other. There are also chances of noticing lions and leopards when they are having their evening walks in search of prey. Retire from the game drive late morning and go back to the lodge for a rest as you admire nature. You will take an early morning game drive in the park with prospects of seeing more animals that you might have missed yesterday. After a game drive, you will transfer to the lodge; enjoy a heavy breakfast before setting off for Kampala. You will make a lunch stop in Mbarara or Masaka town. Stop again at the Uganda Equator, take photos, visit the souvenir, handcraft shops and proceed to Kampala. The driver guide will leave at your accommodation. The tour ends.